Long Beach, Cal. - Pat. Pend. 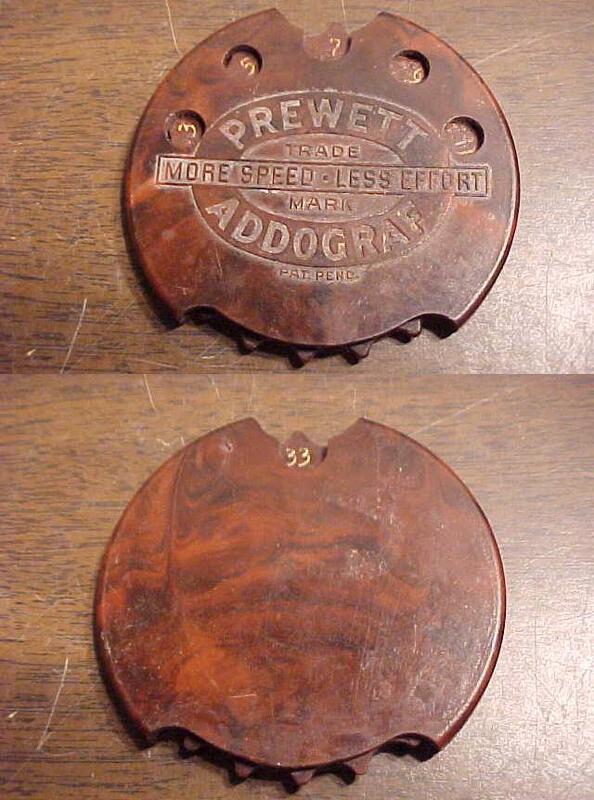 The rare Prewett Addograf is a handheld adder from the 1920s. 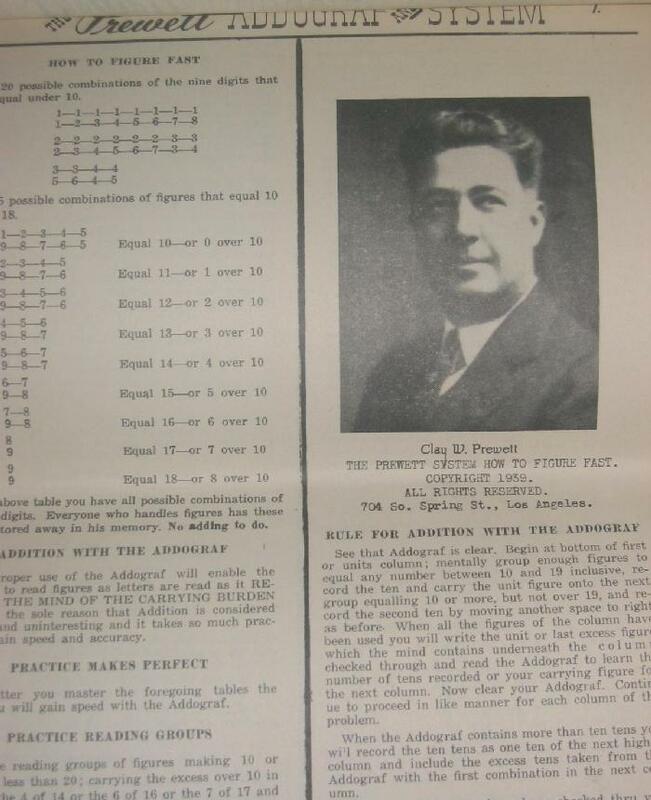 Its inventor, Clay Wiley Prewett, was founder of the Prewett Addo-Graf and System Co. of Los Angeles California. 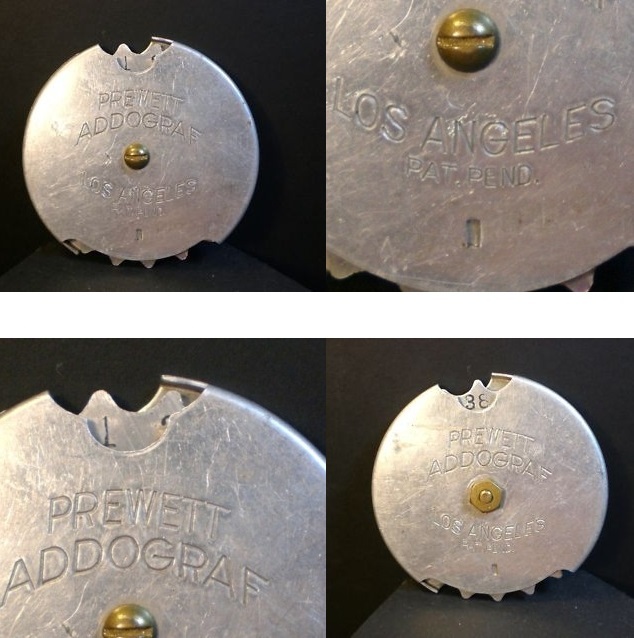 An aluminum disk with a scalloped edge rotates within a simple steel case. 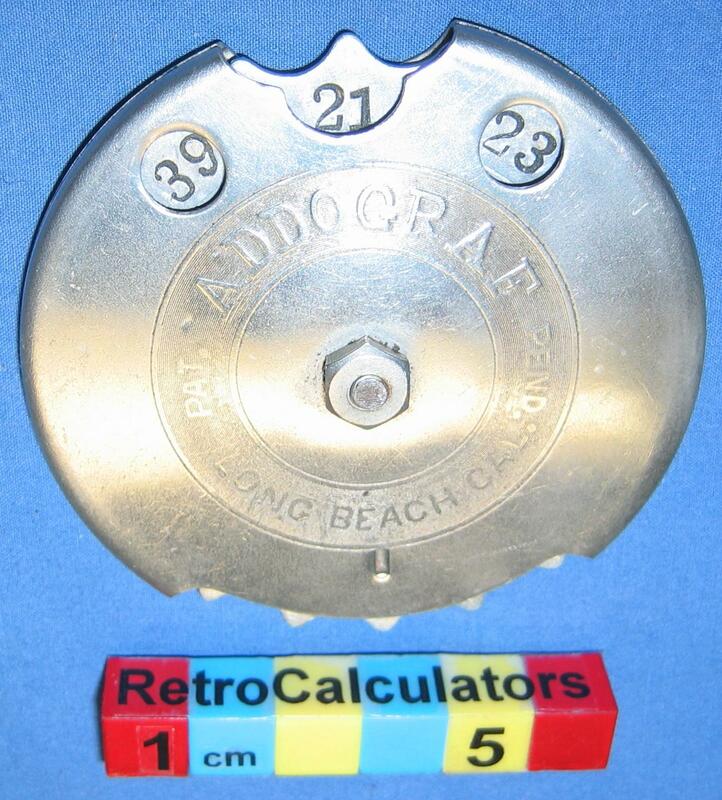 The front side of the disk is numbered along the edge from 1 to 20, while the back side similarly bears 21 to 40. 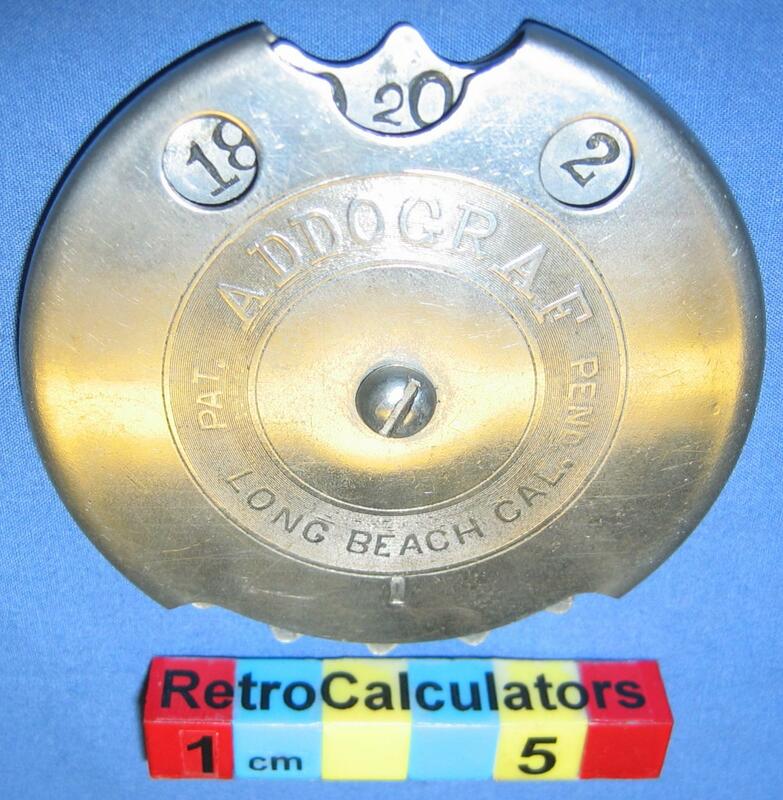 On both sides, the top of the case is perforated to expose three numbers at once, either odd or even - e.g. 1, 3, 5 or 2, 4, 6 (see photos). 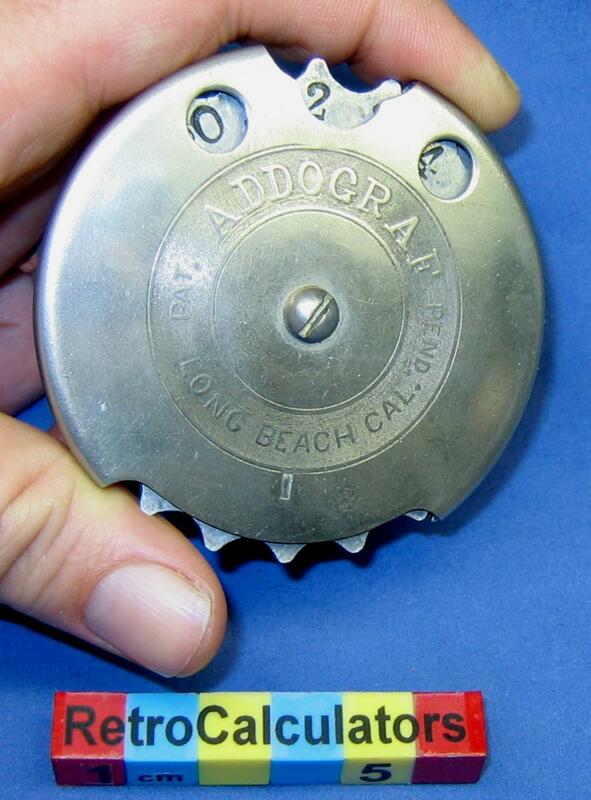 The Addograf's rotating disk meets a hard stop at 20 as shown above. The adder is then flipped over and counting may continue up to 40. 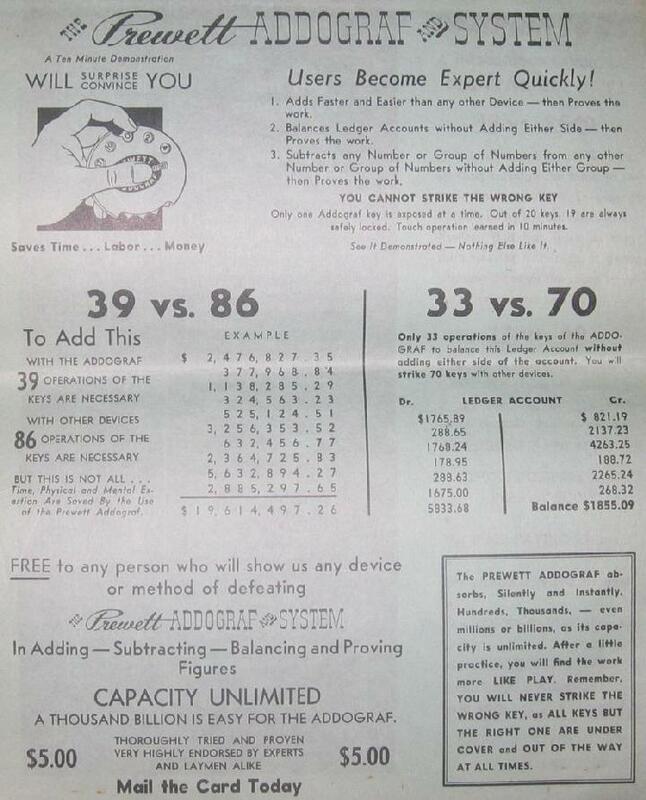 The inventor, C. W. Prewett, is the author of The Prewett system - How to Figure Fast, an Instantaneous Calculator (c1923), and this adder was an aide in his reckoning system. 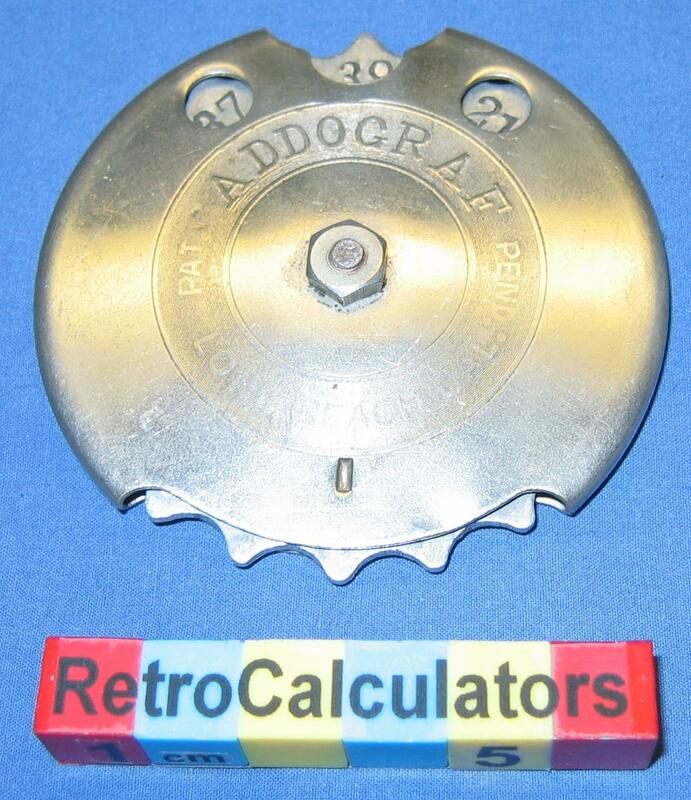 The Prewett ADDOGRAF SYSTEM Co.
A prominent example of this simple adder is in the mathematics collection of the Smithsonian's National Museum of American History - see the article on American Adders by Peggy Aldritch Kidwell, (ETCetera #31 1995). 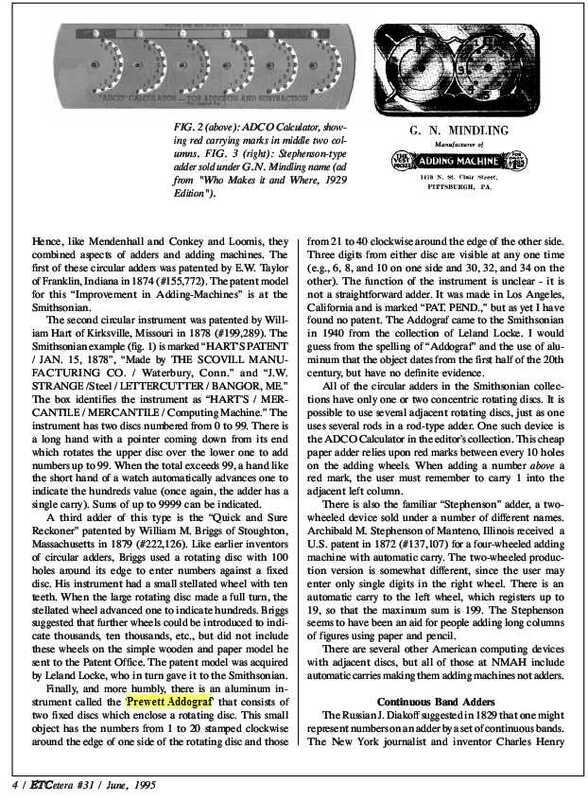 a page of which is shown below. If you are aware of other examples, please send me a note. 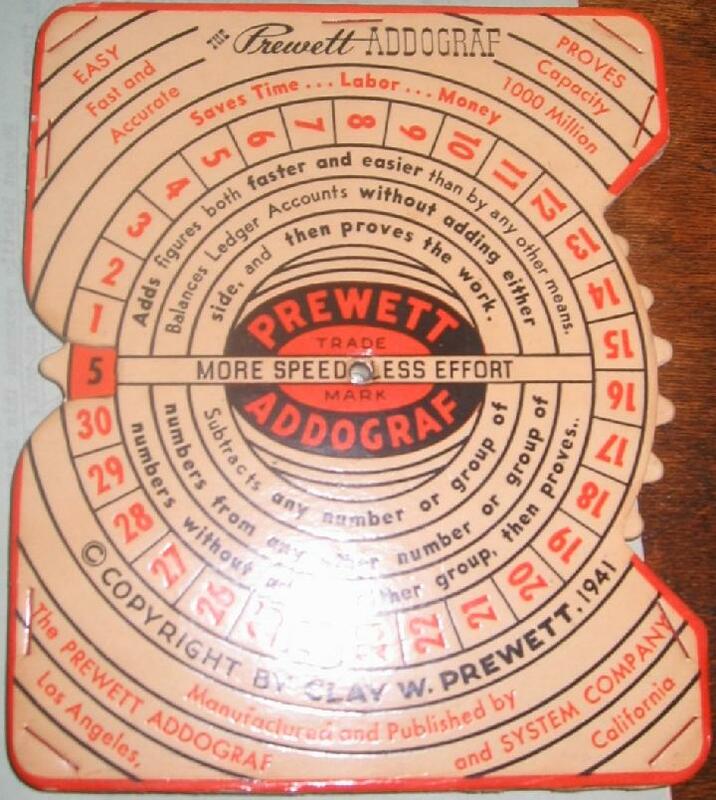 Prewett's Addometer, made of aluminum, is yet another variation in the family of Prewett handheld counting aides. Note that the models above and below are of slightly different design and construction.